Armed men threatened special representative of U.N. Secretary General Ban Ki-moon in Ukraine's Crimea on Wednesday, reportedly forcing the envoy to leave the region. Reuters reported that a Ukraine's Foreign Ministry spokeswoman said Robert Serry was being held in the region's main city, Simferopol. But Deputy U.N. Secretary-General Olafur Eliasson denied the reports, saying Serry had been threatened but not kidnapped. ITV reporter James Mates on the ground in Simferopol reports that Serry was being held inside a coffee shop and not allowed to leave. Mates reported Serry has agreed to leave the region in exchange for his freedom. Very unpleasant incident over. 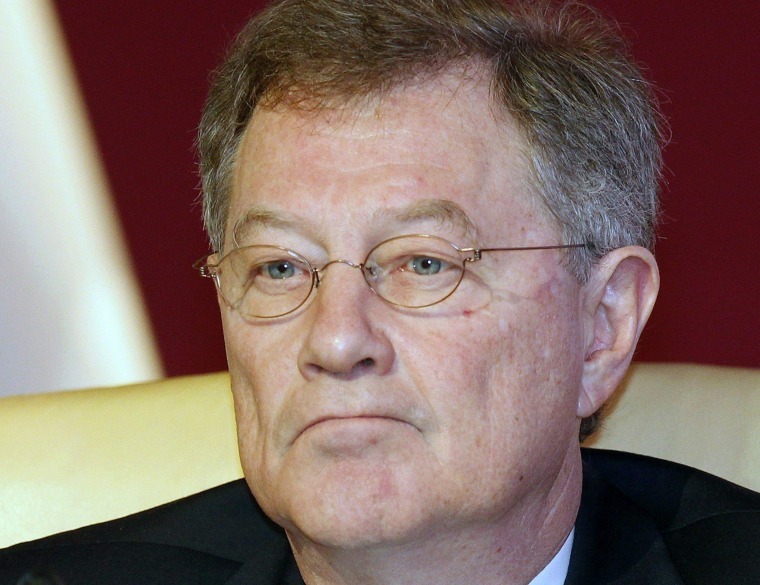 Robert Serry said v happy to leave #crimea if it helped de escalate the situation.